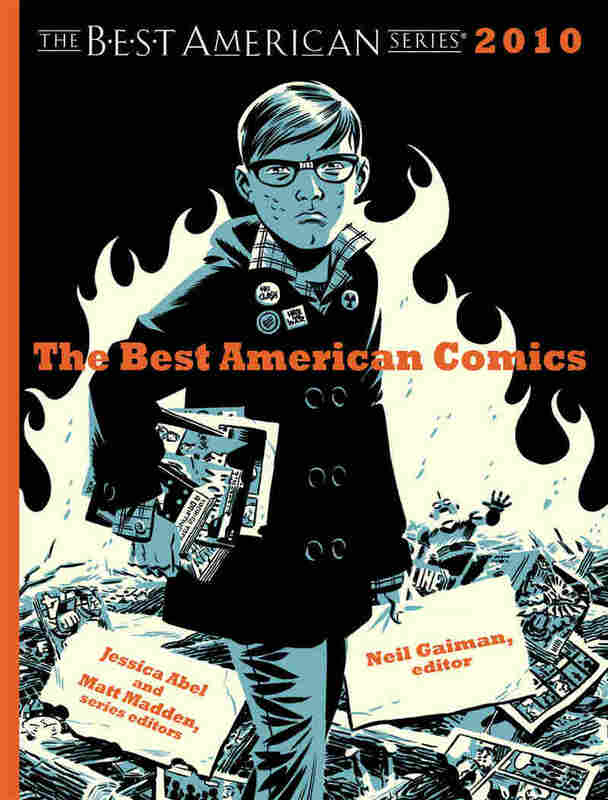 Best Of 2010: Gaiman On The 'Golden Age' Of Comics Anthology editor Neil Gaiman describes the joy and challenge of selecting The Best American Comics 2010. "It's like the golden age," he says of the increasingly diverse and prolific genre. As a young journalist in the U.K. in the 1980s, Neil Gaiman, author, screenwriter and editor of The Best American Comics 2010, was enthralled by the rapidly growing world of comics. But his editors weren't quite as enthusiastic. "I remember going to major editors of important newspapers" hoping to write about the diversifying genre, Gaiman tells NPR's Neal Conan. "All I got was absolute and utter blankness." Gaiman, author of The Graveyard Book, Coraline and The Sandman comic book series, among others, was eventually commissioned to write a story on comics for one major newspaper. "I interviewed everybody. I got unpublished art. It was going to be the first big and important piece on what was going on back then," Gaiman says. But when he submitted the piece, he waited ... and waited ... and "heard absolutely nothing." Another editor told Gaiman that one comics-related story per year was enough for the newspaper. "You are not getting it," Gaiman recalls thinking. "There is such big and important stuff happening." "That you can go into not only a comic book store, but frankly, any large bookstore, and be overwhelmed by the choice in the graphic novel section ... It's like the golden age," he says. And as the diversity of the genre has grown in recent years, so has the challenge of compiling a representative anthology -- particularly as more graphic novels are reaching 200 pages or longer. "The problem ... becomes, how do you select a scene, a sequence, a bit, out of a longer work?" Gaiman asks. "It's like having a book called Best American Novels, and going in and grabbing a chapter you like or several pages you like." But for Gaiman, providing a point of entry to new comics readers is well worth the effort. "It's its own glorious medium," he says. "There's no limit to how good the words can be, no limit to how good the pictures can be, and no limit to what you can do if you're making them work together."